Our showroom, located on New York City's Upper East Side, in the heart of the couture fashion area, is designed to reflect David’s artistic passion. Warm and welcoming, you will feel at home surrounded by opulent fabric choices and beautifully handmade accessories, all nestled in a classic 1940s NYC charm. Here at David Lance New York every element of what we do is individualized for you. Each garment is tailored in order to exceed all exceptions, crafted to be unique. Our bespoke suits are not made-to-measure, they are custom created from beginning to end, designed to complement your lifestyle. 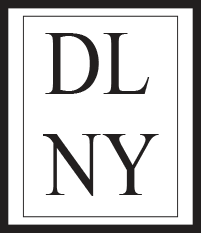 One of the first steps to becoming a David Lance New York client is the appointment. We use this time to start the process of getting to know you. In your private appointment here at our showroom, or in the confines of your home or office, we learn about your lifestyle, profession, travel habits and much more. At David Lance New York we pride ourselves on an unprecedented concierge level of service. You will discover a world of individualized care—cleaning, wardrobe storage or even pre-travel packing. We will guide you through every step in the creation of your bespoke experience, from luxury fabric options (cashmere, wool, silk and cottons, etc.) to impeccable design details (button style, pocket options, lining, and more). There is no limit to our creativity, or to your wardrobe options. Hey guys, we understand wanting to dress more casually and comfortable at work – (there’s no reason dressing well can’t be comfortable, but that’s for a different day). Clothing is a universal language yet has no sound. What you are wearing sends a message about you, and only you control whether this message is good or bad. David Lance New York is the premier location for custom handmade, and bespoke suits. Situated just off Madison Ave, our opulent showroom, encapsulates the very essence of what we stand for; quality. For the past 28 years David and our team have provided a level of service that has kept our family of clients coming back time after time.